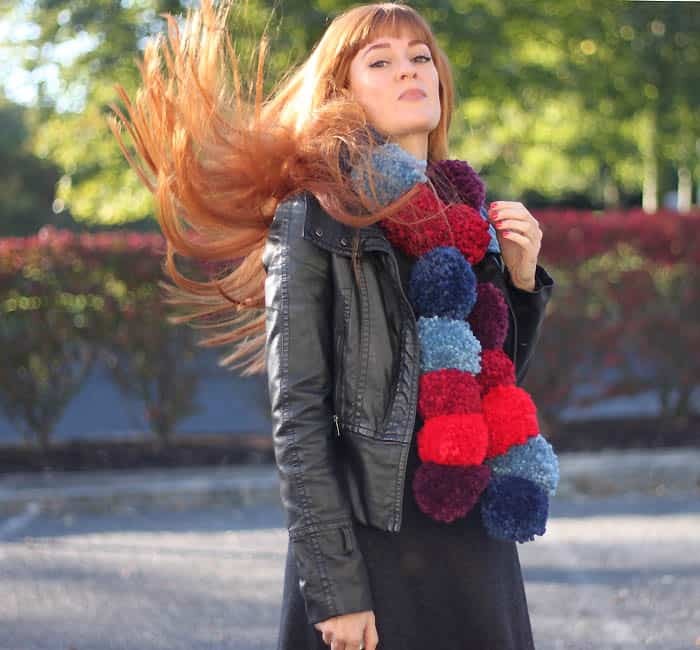 I saw this Rebecca Minkoff Pom Scarf while browsing around Shopbop and I knew I had to make a DIY version! In case you didn’t know, I’m kind of Pom Pom obsessed =D This scarf is cute, but the jewel color palette keeps it from looking too junior. 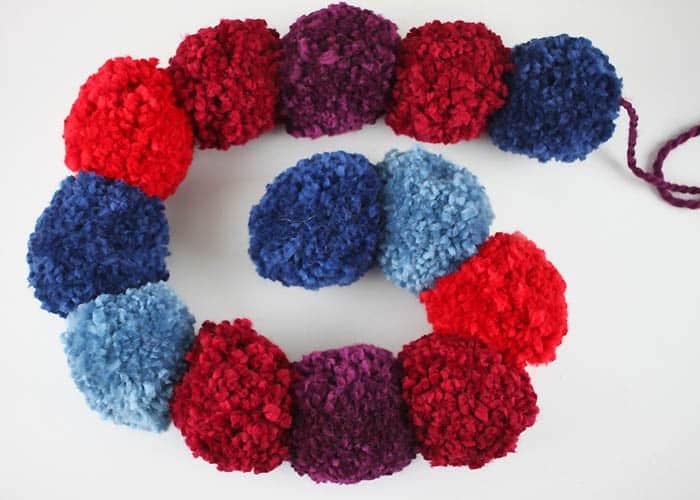 Make the pom poms- you’ll get 3-4 from each skein. 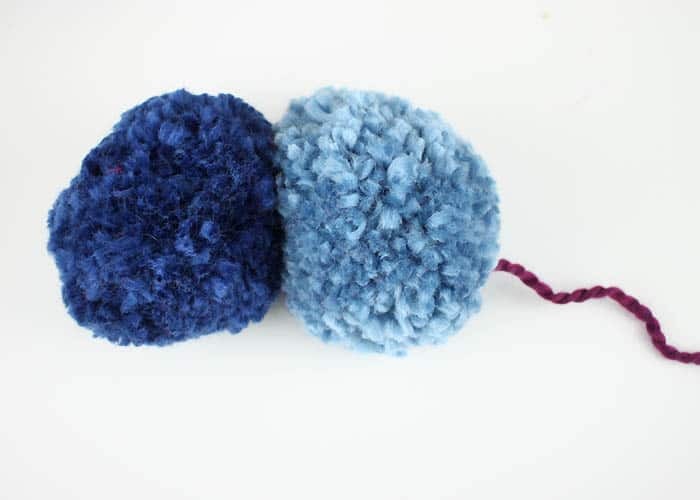 The pom poms are tied together with a strand of yarn. 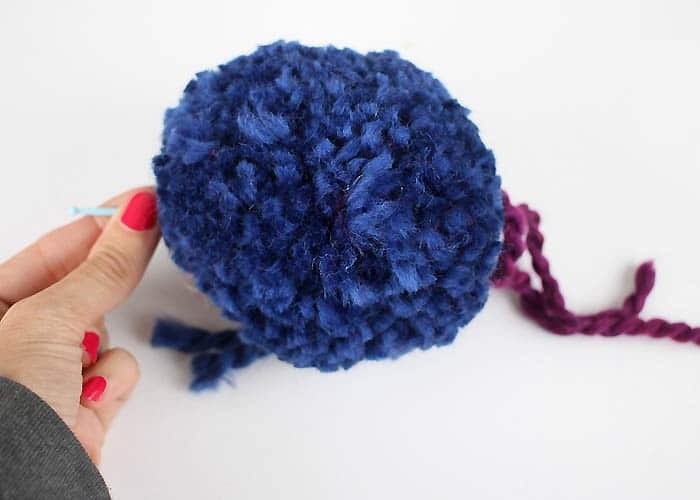 Normally you cut this strand down so it blends in with the rest of the pom pom. For 2 pom poms, do not cut the stand. These will be the beginning and the end of the scarf. Cut a 60 inch length of yarn. String on the yarn needle. 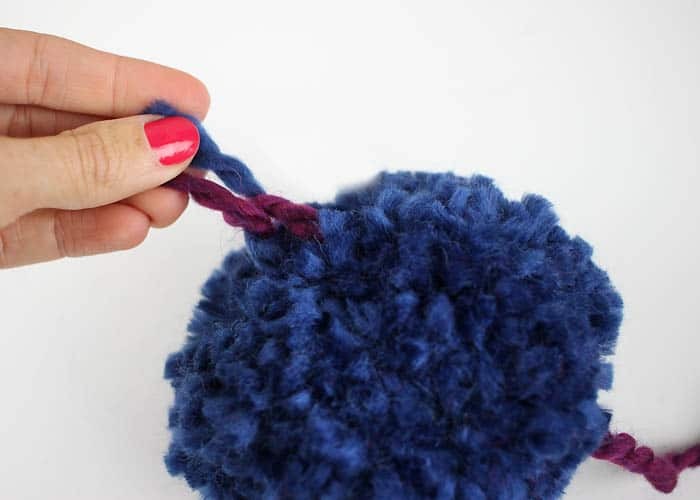 Insert the needle through the middle of the pom pom and pull through. Tie the end of the yarn to the end of the pom pom string. 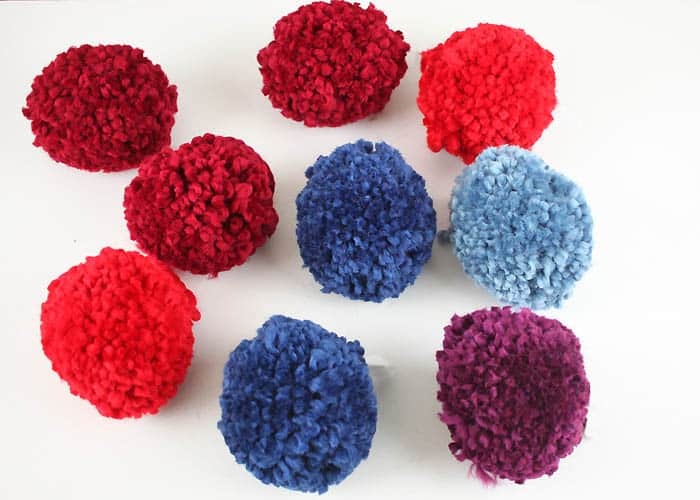 Make a double knot and trim the ends so it blends in with the rest of the pom pom. String on the rest of the poms. Knot the last one to the end of the yarn strand like you did with the first.